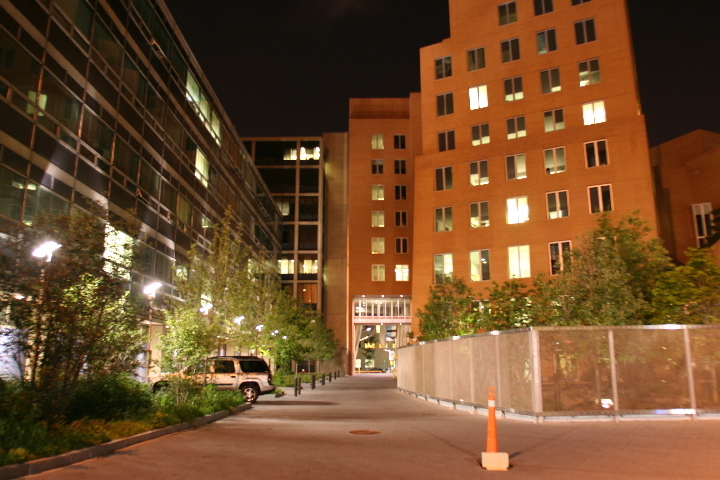 This shot is looking down the driveway which separates buildings 26 (left) and 32 (right). The bridge at the end connects buildings 38 and 32. I chose the darker exposure because the details are clearer here; that may just be an artifact of the light breeze rather than the exposure per se.